Washington, and some other states, aren't waiting to see what happens to the Affordable Care Act. A number of bills introduced this legislative session aim to expand the number of people being insured. Washington state isn’t waiting for the federal government to tweak, fix or repeal Obamacare. 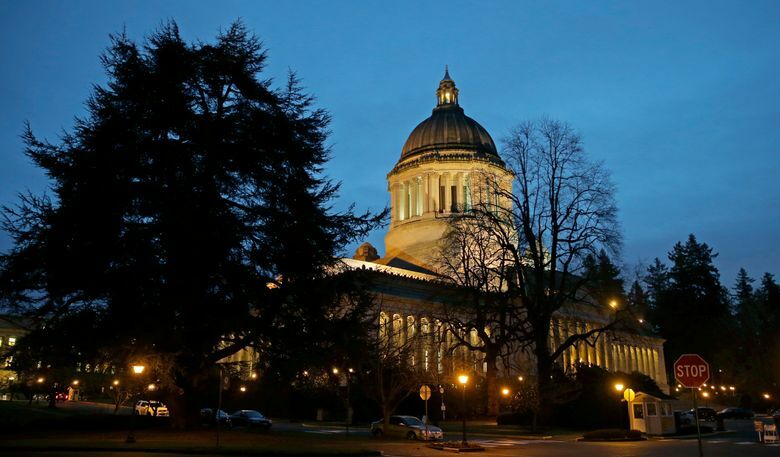 Health-insurance bills are surfacing in Olympia this session with the goal of insuring more Washingtonians and stabilizing the individual-insurance market. The bills are a response to President Trump’s and Congress’ continued efforts to repeal the Affordable Care Act (ACA). The ACA, also known as Obamacare, took a significant hit when Congress passed and President Trump signed a new tax bill into law. The tax bill eliminates the penalty for not buying health insurance, therefore crippling the individual mandate that was an essential piece to propping up the ACA with a pool of healthy people. Sen. Annette Cleveland, D-Vancouver, introduced a bill to create a state individual mandate. The bill, which is awaiting a second reading in the rules committee, would have exemptions for some groups and not penalize others. For example, a person who would pay more than 8 percent of household income toward insurance would be exempt from the penalty for not buying health insurance. How the individual mandate would be enforced is an outstanding question because Washington state lacks an income tax, which is the vehicle for the ACA penalty. A similar individual-mandate bill has been introduced in Maryland, a state with an income tax that will be used to enforce the proposed law. If Cleveland’s bill passes this session, it will rely on taxpayers to opt in. That doesn’t mean a penalty for not having health insurance won’t happen. The bill directs the Office of the Insurance Commissioner to create a task force to figure out an enforcement mechanism for the mandate and have a recommendation by Dec. 1. There is some consternation about how the mechanics of an individual mandate and its enforcement would work. Meg Jones, executive director of the Association of Washington Healthcare Plans, said her organization is supportive of any laws that stabilize the health-insurance market. Her worry is that when the federally mandated purchase of insurance goes away in 2019, healthy people will opt out of the health-insurance system. “Without an enforcement mechanism, we aren’t optimistic that people will voluntarily elect to purchase coverage,” Jones said. Since the Washington Health Benefit Exchange began in 2013, the number of uninsured people has dropped from 14 percent to 5.8 percent in 2015, the last year numbers are available. King County, which has more recent data, saw its percentage of uninsured fall from 16.4 percent in 2013 to 6.7 percent in 2016. Ensuring the stability of the market is what drove Cleveland to introduce another bill from the Office of the Insurance Commissioner dealing with reinsurance. Reinsurance helps lower the risk for insurance companies and lowers premiums for customers. The ACA carried a reinsurance program from 2014 to 2016 and was a tool to keeping insurers in the state. There is urgency to get the bill passed because a reinsurance plan is eligible for a federal waiver under the ACA for 2019 health plans. Senate Bill 6062 was moved to the Ways and Means Committee. Another bill hits on the national debate about health care and immigration. Senate Bill 6225, sponsored by Sen. Karen Keiser, D-Kent, would allow for undocumented immigrants between the ages of 19 and 26 to be eligible for health insurance through Medicaid, called Apple Health in Washington. The bill, which has been referred to Senate Ways and Means, builds on the state’s Cover All Kids program. The program, passed in 2007, provides universal coverage for children, including legal and undocumented immigrants.